Showplace End of Summer II has finished at HITS Chicago after two exhilarating weeks of FEI competition. With over ten countries being represented this week, the showgrounds was buzzing with action from the National classes to the featured FEI events. 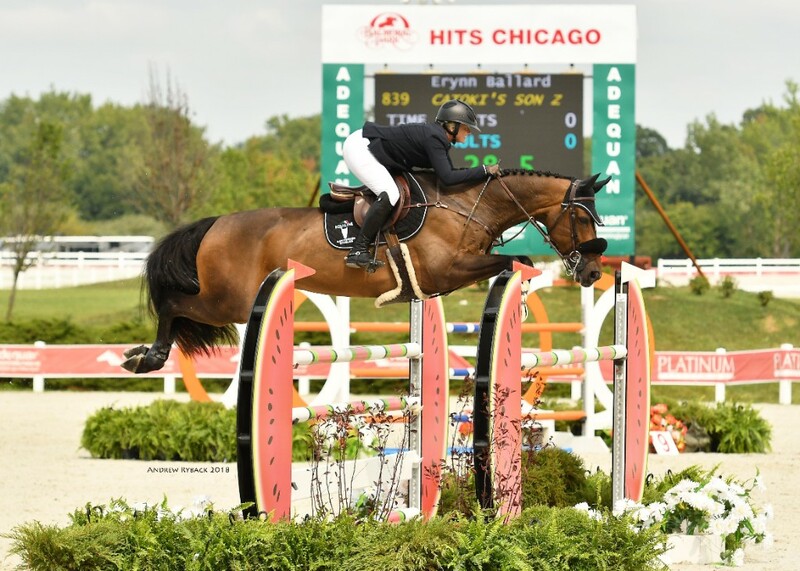 The prestigious FEI CSI5* event kicked off Thursday and hosted three $35,000 Classes leading up to the HITS Chicago $500,000 Grand Prix on Sunday, the first of two such events hosted by HITS this summer. Next will be the FEI CSI5* at HITS-on-the-Hudson in Saugerties, New York, September 5-9, featuring the Saugerties $500,000 Grand Prix on Sunday, September 9. 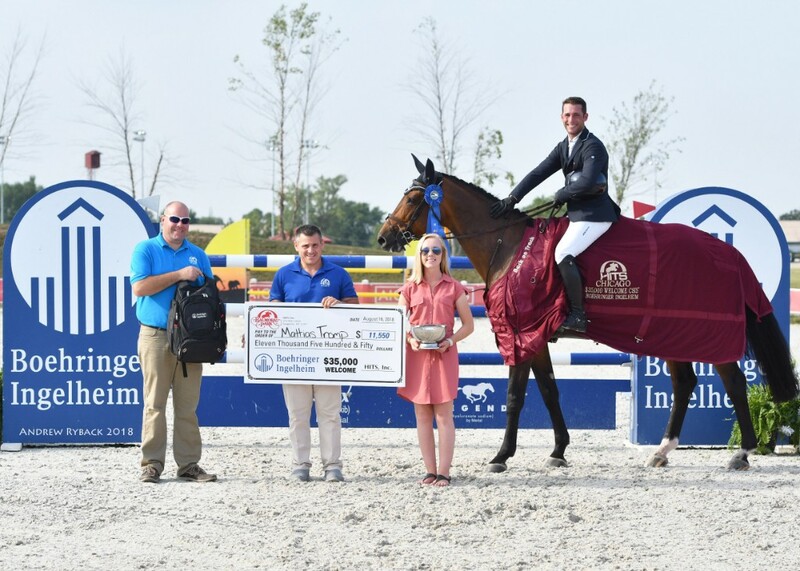 Starting off the FEI classes on Thursday, Mattias Tromp and EYECATCHER took the win in the $35,000 Boehringer Ingelheim Welcome, the qualifier for Sunday's CSI5*, in a jump-off time of 37.90. Tromp also took third aboard CRACK ELLE CHAVANNAISE in a jump-off time of 41.32. Madden was second in a jump-off time of 41.31 aboard CHIC HIN D HYRENCOURT. 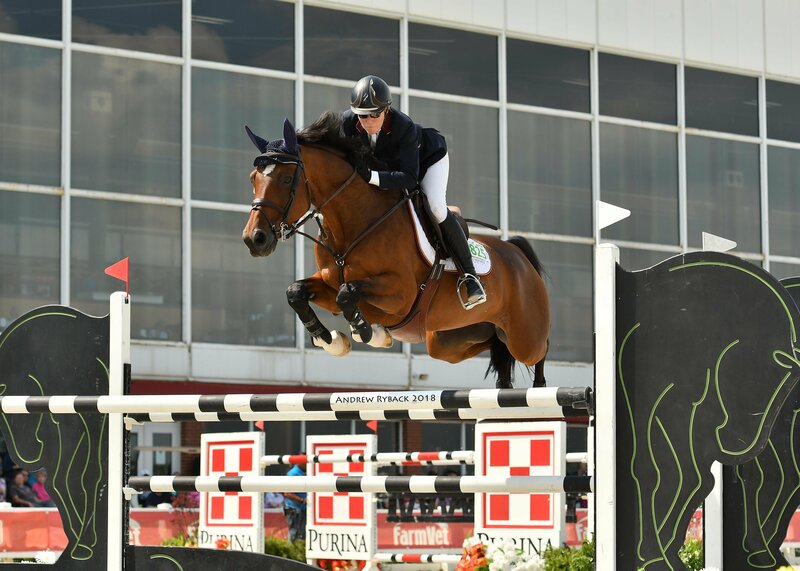 Riding for New Zealand, Sharn Wordley was fourth with BARNETTA in a jump-off time of 42.74 and fifth was Minikus and AMEX Z in a four-fault jump-off time of 38.77. Friday, the $35,000 SmartPak Classic took place with Australian, Scott Keach besting the field aboard FEDOR in a jump-off time of 45.41. Madden was second with CHIC HIN D HYRENCOURT in a jump-off time of 45.99. Wordley was third aboard CASPER in a jump-off time of 46.78. Just behind him was Jonathan McCrea in fourth with WIN FOR LIFE in a four-fault jump-off time of 45.85 and David Raposa was fifth aboard S&L Sage in a four-fault jump-off time of 46.43. 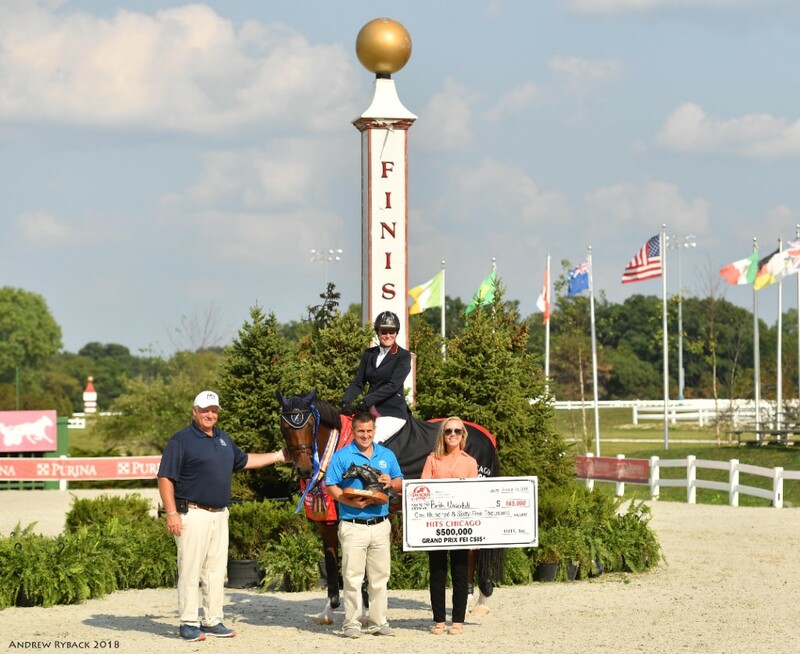 Saturday, the final FEI class before the HITS Chicago $500,000 Grand Prix, the $35,000 AIG Classic, took place with Canadian Erynn Ballard taking the win aboard CATOKI'S SON Z in a jump-off time of 36.11. Not far behind her was Anrade and RICORE COURCELLE in second in a jump-off time of 42.66. Third was Ali Wolff and EXOTIK SITTE in a four-fault jump-off time of 36.72. Tromp was fourth aboard EYECATCHER and Madden was fifth aboard JIVA. Sunday, an excited crowd gathered in the stands as they waited for the first horse to go into the ring. The crowd amped up the riders as they finished walking the course of 1.50m-1.60m fences. Thirty-eighty riders would enter the ring, but only one would come out the winner. After a challenging course, built by Guilherme Jorge of Wellington, Florida, seven would come back to jump-off. "It is a very prestigious class and I think I built a good course for that," said Jorge "It was nice to watch the horses jump in the first three classes so I could get a feel for what I was working with and built the course based on that." The first round proved challenging for some, but Rowan Willis, Margie Engle, Ali Wolff, Scott Keach, Andrew Kocher, Beth Underhill, and Mattias Tromp, came out with clear rounds. Going into the jump-off, the crowd anticipated every jump and every turn, waiting to see who would win it all. First to show in the jump-off was Underhill aboard COUNT ME IN. 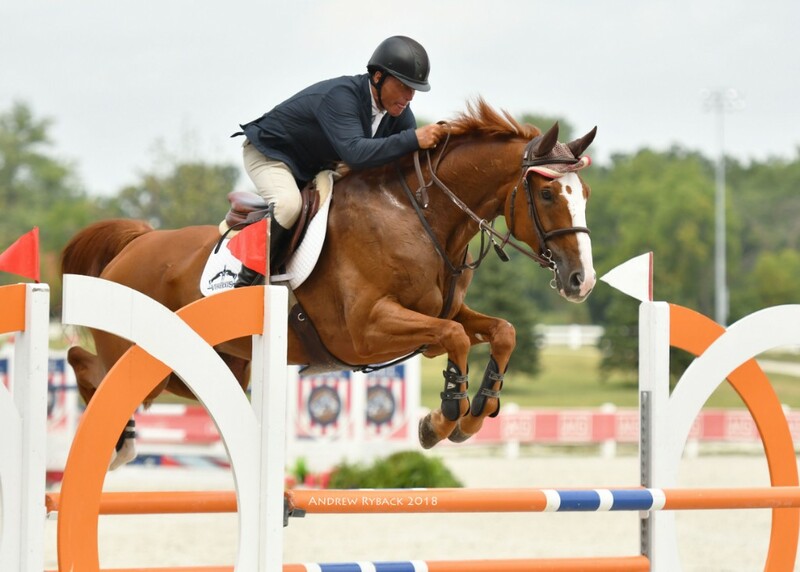 "This is his [COUNT ME IN] first CSI5*, so going first I didn't want to push too hard, but I did want to put a little pressure on the riders behind me," said Underhill. Her tactic must have worked, because Underhill ended up on top, taking the win aboard COUNT ME IN in a jump-off time of 38.65 and taking home a prize money check for $165,000. "We first came to Balmoral Park in June and had a great time, so we decided to come back. This is all a little surreal right now." Keach, riding for Australia, pushed his mount FEDOR to try and catch up to Underhill, but it wasn't quite enough, ending up second in a jump-off time of 38.81, less than half of a second behind her. "The footing here is very good and having Guilherme build the course was excellent preparation for the Saugerties CSI5* and the World Equestrian Games." said Keach. American rider Kocher was third aboard KAHLUA after a jump-off time of 38.98, only a tenth of a second behind Keach and the last to go clear in the jump-off round. 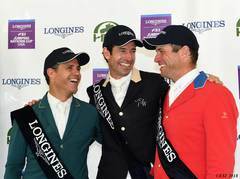 "I'm heading to Switzerland next for a couple of CSI3* competitions and then I will be back in the states for the Saugerties CSI5*," Kocher said when asked about what was in store for him next. Willis was fourth aboard his mare BLUE MOVIE in a four-fault jump-off time of 36.12 and fifth was Wolff and CASALL riding for the USA, in a four-fault jump-off time of 38.13. "I'm really proud to be a part of this. I've been doing horse shows for 35 years in Chicago and to have a CSI5* event is amazing. I could never have done it without the help of Tom Struzzieri and HITS" said Pat Boyle, Show Manager of HITS Chicago. HITS Chicago will be back for two more weeks in September. Visit hitsshows.com to stay up to date on all things HITS! In featured National Competition during the week, Todd minkus rode to a first place finish aboard LUKEN DU ROUET in the $5,000 Johnson Horse Transportation Welcome in a jump-off time of 35.183. Rowan Willis was second aboard ITALIAN GOLD VAN DE KRUISHOEVE in a jump-off time of 35.213. Third was Emanuel Andrade and TUPAC VAN DE in a jump-off time of 35.420 and fourth was Beezie Madden with her mount GARANT in a jump-off time of 36.994. Rounding out the top-five was Caroline McLeese and CAPRISIO in a jump-off time of 37.120. Finishing up the National competition on Saturday, Andrade took the top two spots in the $10,000 M&S Jumper Classic, placing first aboard TUPAC VAN DE and second aboard DIPSSY in jump-off times of 31.998 and 32.543, respectively. David Blake was third with EMILIA in a jump-off time of 32.658. Fourth was Kelli Cruciotti and ZIDANTE in a jump-off time of 32.735 and fifth was Kristen Vanderveen and BULL RUN'S PRINCE OF PEACE in a jump-off time of 33.002.